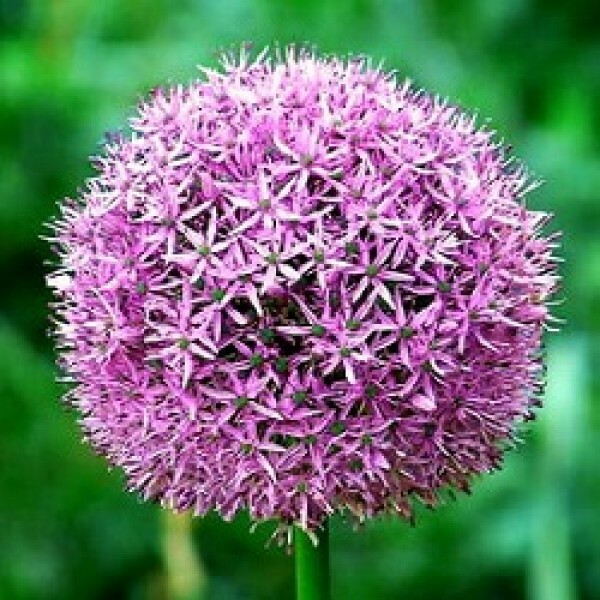 Alliums are incredibly long-lived and flower for ages. The ones shown here in my garden at Perch Hill have been coming back year after year for the last twelve years. I love them for adding late spring and summer pizzazz, bringing strong colour and shape to the border. Plus they are excellent for cutting in flower or as seedpods, which I use for Christmas decorations. I don’t lift any of my bulbs in the garden; planted deeply and mulched with a generous blanket of mushroom compost I leave them in the ground to over-winter. On poor soil, it’s worth giving almost all spring-flowering bulbs a potash feed in the early spring. This helps with root and bulb formation and will encourage them to stick around and flower on and on for years. 3 bulbs pack of fresh Allium Bulbs purple.